Contact us for rental rates and info! 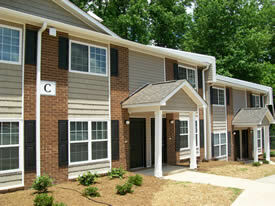 Woodcrest Apartments features one, two, three and four bedroom units. It is convenient to schools, library, and local parks. The Blue Ridge Memorial Park is approximately three miles from the site. Our on-site staff is ready to welcome you to your new apartment home. Stop by today! *Note: Google content is the sole responsibility of Google Inc. CMC makes no guarantees as to the accuracy of these directions.